Suga’s Healthy Salmon, Pesto Pasta and Homemade Creamy Sauce! Enjoy Restaurant Style Salmon at home like Suga! 4. Flip the Salmon and cook for another 3-5 minutes until the skin is crispy. 5. Turn off the heat, cover the pan and steam your Salmon for about 10 minutes to be cooked medium. Add an extra 2-3 minutes to cook medium-well. 1. Cook Thin Spaghetti until tender and drain in coriander. 2. Add sliced Cherry tomatoes and mix in some of Asbebre’s Spicy Dairy-free Pesto Sauce. Make your own healthy version of a Creamy Sauce instead of using an Alfredo sauce or Coconut cream sauce to put on your Fish or your Pasta. Melt olive oil, garlic powder, onion, cream cheese, grated parmesan cheese and almond/skimmed milk in a pot, with varying amounts to create your desired consistency. Plate Spaghetti with Salmon fillet on top. Add a little Pesto sauce to the Salmon and layer your homemade creamy sauce on top. Yum! New Restaurant in Kingston! Steak House on the Verandah at Devon House! The Launch of the New Restaurant at Devon House, Steak House on the Verandah owned by Marilyn Burrowes was held almost a month ago on Sunday, October 15th. The Steak House resides at the exquisite location once held by late Culinary icon, Norma Shirley who owned Norma’s on the Terrace. The Restaurant is managed by Michael Fulford and the man responsible in the kitchen is Chef Alex D-Great. Premium local, Dry-Aged Steaks are their specialty and they offer other delectable delights and desserts accompanied by a substantial selection of wines. I visited the Steak House for a Lunch date with my other half, Randy last Saturday at 2pm. We were greeted pleasantly by the staff and our waitress was Princess, who we were familiar with from another establishment. She took us through the menu and after giving us a few minutes, she took our orders and was quite attentive throughout our stay. Challah Bread served to start off our Lunch! Randy had the Jamdung Onion Soup, which was different from others out there. The cheese was on the bread instead of in the soup and the soup was more like a beef broth, richly flavoured with onion. For something that had a scotch bonnet label, it was not spicy though. Jamdung Onion Soup ($900JMD) – Very rich scotch bonnet beef stock, loaded onion and served with a Gruyère cheese corn bread. There were other choices that I wasn’t interested in, such as Salads, Wings, Pumpkin Shrimp Bisque and Tempura Shrimp ranging from $900-$1200JMD. I knew they offered Bone Marrow, however Princess told us that was on their Dinner menu. She quickly offered to speak with the Chef and he agreed to fulfil my desired preference. Thank you Chef! That Spicy Bone Marrow was divine. It was so seductive, sweeting me up with the sauce, then hitting me up with a fiery, zesty flavour. Steak House on the Verandah sources their Steak locally from The Meat Experts Ltd. Meat Experts operates out of St. Ann and they have been making quite a name for themselves with their high quality, hormone-free meats. I had my mind set on having the Ribeye Steak ($5750JMD), but they were all out. We had the Filet Mignon and Dry-Aged New York Steak with our choice of two sides and a sauce. We both requested our Steaks to be cooked medium rare. Mine arrived overcooked, but I decided not to reorder. It was still tender in some areas. The Steaks were delish, especially with the Coffee Demi Glaze. If you are a Steak Eater, especially a lover of premium cuts, your bill may turn out to be quite high. A couple going for 3 Courses over two glasses of wine and sharing Dessert can rack up a $20,000JMD bill. However, there are more affordable options excluding the premium cuts. The menu also satisfies persons who aren’t Steak lovers with plates of Chargrilled Salmon ($4050JMD), Rosemary Herbed Chicken Breast ($2150JMD) and Fettucine Fungi Alfredo ($1250JMD) with the options to add Chicken ($600JMD) and Shrimp ($1000JMD). They did not have Vanilla Ice Cream. How come?! Not disappointing though, because I like Strawberry Ice cream. The Cake was warm and tasty. Coffee/Tea ($350) was the other option for Dessert, but there was no need for a range of options. Persons can walk around afterwards and choose from many other shops to satisfy the sweet tooth while enjoying the historic grounds as well. I enjoyed the succulent food served amidst the ambience and attentive service by the staff on my Lunch date at the new Steak House. I will return not only for the Ribeye, but to try their Philly Cheese Steak Sandwich for $1400JMD, which consists of Julienne Steak cuts, mushrooms, bell peppers and caramalized onion with a side of seasoned fries. Gabby a.k.a Suga from Suga Lifestyle and husband, Randy Burgess enjoying Lunch at Steak House on the Verandah last Saturday, November 4, 2017. Which types of Fish Burn Fat the most? Salmon and Tuna! They stimulate leptin, a protein hormone in the body that starts and steeds up metabolism, ultimately regulating your diet. 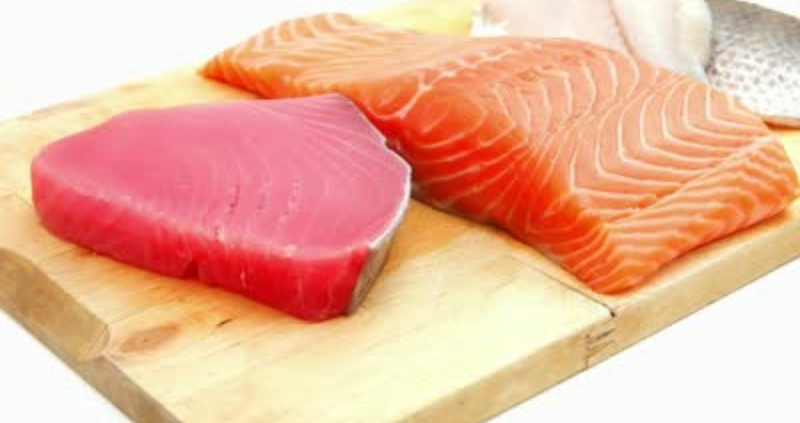 They also have omega-3 fatty acids like other types of fish, helping to grow nails and hair. Gimbilyn at Alhambra Inn Meets Expectations for RW and is Booked Out! SuGa Readers have been dining up a storm and found that Gimbilyn was fully equipped with staff to tackle Restaurant week with very little wait time and a floor supervisor overseeing the area and checking on waiters as it should be. Staff was pleasant and even the Chef came out to address diners regardless of the pressures in the kitchen. Commendable that he had things under control to escape the heat a little. Staff was also well-trained in offering suggestions from the menu and selection of wines. Reviews came in that the Shrimp salad was tasty but had a small serving in comparison to the Pepper Pot soup. However, if you ordered a Shrimp salad followed by Grilled Pork chops, they were sure to make up for it, as they were thick portions. The Tucker Chicken Florentine with layers of creamed callaloo, cheese and tender Chicken breast topped with panko bread crumbs and parmesan cheese looked and tasted delicious. The Grilled Salmon with Tamarind and Ginger Glaze was good and their signature Bread pudding was divine. Winner Winner Lobster Dinner at Evita’s Italian for Restaurant Week! Good feedback has come in from other SuGa recommended restaurants as well, such as Black Orchid at Eden Gardens with no long wait, good food and value for money and Suzie’s Bakery’s yummy Jerk Chicken Pasta. 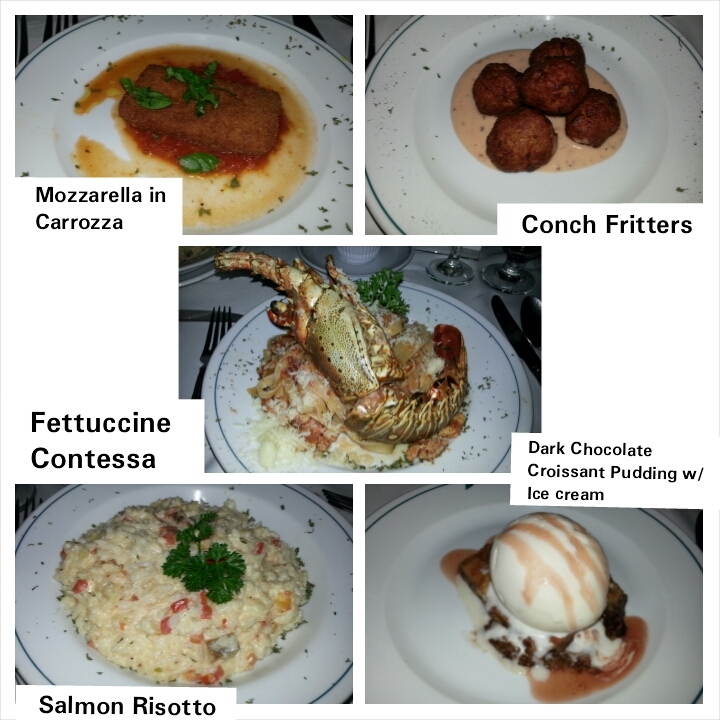 Continue to enjoy Restaurant week SuGa Readers and please keep the feedback and pics coming! 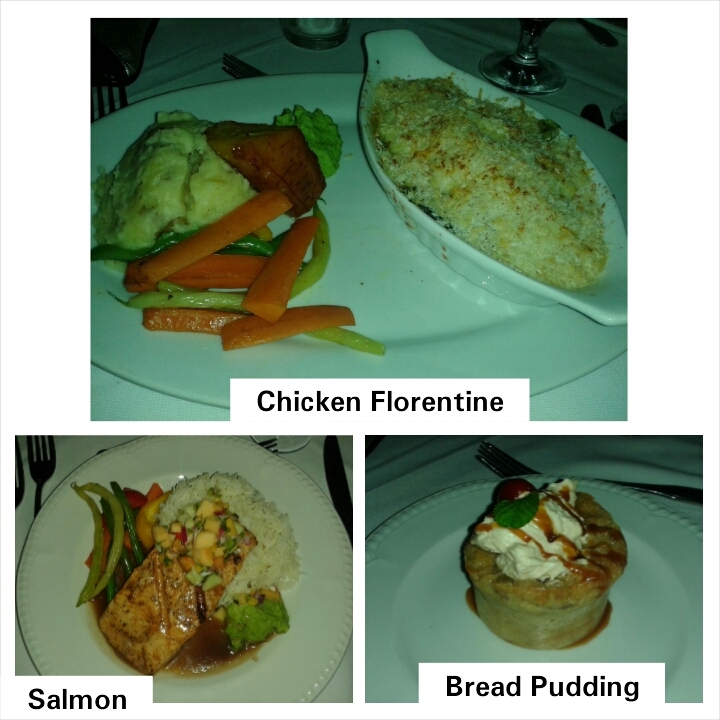 SuGa’s picks for Simple but Tasty (*$1850JMD) for Restaurant Week Jamaica! The Tasty category is more on the simple side with dishes that most persons should be familiar with. A few restaurants still stand out in terms offering more value for money even though they do not have the greatest ambience. ROE Japanese Cuisine, Tandoor Indian Restaurant and the Chill Out Hut Restaurant (Montego Bay) seem like great choices. Chill Out Hut will have Chicken Wings, Nachos, 1 lb whole Fish/Fish Fillet any way you like it, a Chicken and Ribs combo and more. JoJo’s Jerk Pit and More usually offers a large serving of BBQ Spare Ribs, small desserts and basic appetizers. East Japanese seems satisfactory with their usual Miso soup and Salads, simple Vanilla Ice Cream and main course including Shrimp Tempura and Teriyaki Chicken. However the choices at Northside Kitchen, aside from their location seem like more value for money. There is also a wider range of items to choose from. 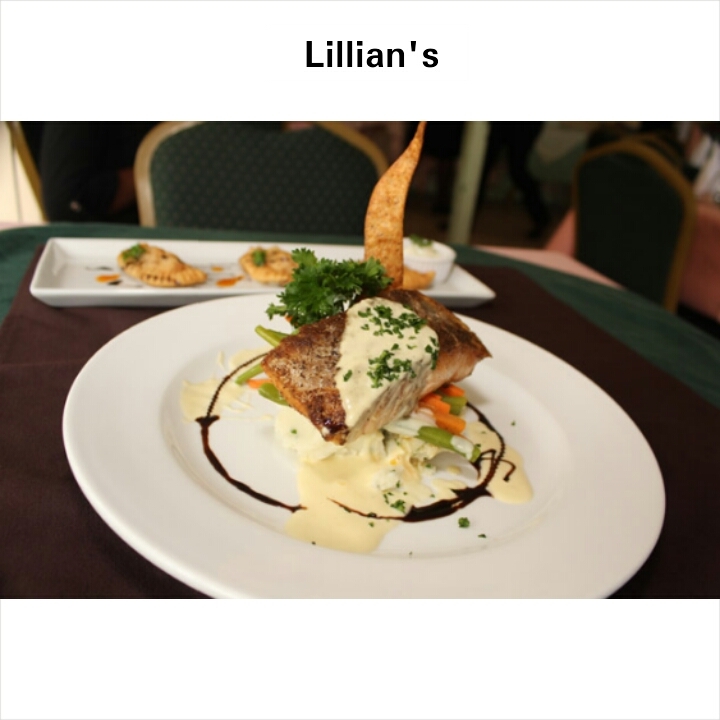 The menu from Lillian’s at UTECH looks good with a variety of options. The quality of food is usually decent as well. Pizza Hut – Dine In in Kingston and Montego Bay look like awesome Binge fests! Go to http://www.go-jamaica.com/rw/ for more information. * Prices for each category include 1 choice of Appetizer, Main Course and Dessert. Beverages, Gratuity and G.C.T are additional.